and think about how it started life and why it is so highly regarded. I want to put certain tracks under the microscope – ones that mean a lot to me – and get to their heart(s). This might be the last time this year I get to write about Kate Bush – any excuse, me! – so it is only right I put her first. A debut single can be a hard thing to pitch. Most artists do not have the pull to call the shots and make any real demands. If they are with a record label, other people might write the single and the artist may only get a lot of say. Even if a songwriter feels they have this superb debut single, it may not be a sentiment shared by those who make the decisions. Kate Bush faced this sort of opposition when pitching Wuthering Heights. EMI’s – her label at the time – Bob Mercer wanted to release the more conventional James and the Cold Gun as the first single but Bush, knowing Wuthering Heights was special, fought for her choice! Given the fact Kate Bush was a teenager at the time and this was the first single the public were going to hear; standing up against the record label was a brave thing to do. Not many established artists today would combat a label’s opinion but Bush, on her first time through the machine, was passionate and angered – rumours that she broke down in tears show this song and her career meant so much. 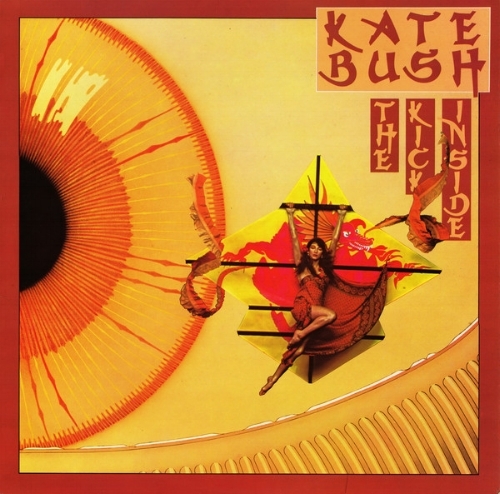 Bush was someone, right from the off, who wanted more of a say regarding her music’s direction and sound – The Kick Inside, where Wuthering Heights is placed, is an album Bush has sort of distanced herself from. I will talk more about this unique song and why it has impressed and resonated through the years but, even before the song was released, it seemed like Kate Bush and Emily Brontë shared some D.N.A. They share a birthday and Wuthering Heights’ heroine, Catherine/Cathy, shares a forename with the iconic songwriter. Kate Bush’s inspiration for Wuthering Heights was not the book itself but a documentary/T.V. show she caught the final ten minutes of – where Heathcliff was being haunted by the ghost of Cathy outside his window. Everything about the creation of Wuthering Heights is wondrous. You have this ingénue songwriter who was captivated by this T.V. adaptation and decided, on 5th March, 1977, to sit at a piano one night (when there was a full moon) and pen this amazing song. The fact so few artists have covered the song since its release on 20th January, 1978 shows what an intimidating and rare bird Wuthering Heights is! The single was not expected to do well and nobody really thought it would do much in the charts. “All of this served as Kelly's starting point for the very first Kate Bush session, during which he was "learning as I went along and dreadfully insecure. I give full credit to Andrew [Powell] and the great musicians, who were very supportive, while Kate herself was just fantastic. Looking back, she was incredible and such an inspiration, even though when she first walked in I probably thought she was just another new artist. Her openness, her enthusiasm, her obvious talent — I remember finishing that first day, having recording two or three backing tracks, and thinking 'My God, that's it. I've peaked!'" “The live rhythm section that Jon Kelly recorded for 'Wuthering Heights' consisted of Kate Bush playing a Bösendorfer grand piano, Stuart Elliott on drums, Andrew Powell on bass and Ian Bairnson on a six-string acoustic. And in terms of the miking, Kelly adhered pretty closely to Geoff Emerick's favoured choices while adding some of his own. "Kate always recorded live vocals, and they were fantastic, but then she'd want to redo them later. In the case of 'Wuthering Heights', she was imitating this witch, the mad lady from the Yorkshire Moors, and she was very theatrical about it. She was such a mesmerising performer — she threw her heart and soul into everything she did — that it was difficult to ever fault her or say 'You could do better.'" Ian Bairnson's electric guitar solo, which winds its way through the closing stages of 'Wuthering Heights', was played in the Studio Two control room, his Les Paul going through a Marshall head and Marshall 4 x 12, miked with... yes, a pair of 87s, one close, the other about four feet away. "Ian warmed up and developed that solo while I got the monitoring right, and there was one take that was just great," says Kelly. "Being in the control room, he missed the feedback from the amp, and I can remember telling him to get close to the speakers, expecting this to do the same. You can tell I was pretty naïve..."
“Paranoid about being labelled, Bush strove to keep changing after Wuthering Heights. She said she wanted people to “chase after her”, to find out what she’d do next. “If I really wanted to, I could write a song that would be similar to Wuthering Heights. But I don’t want to. What’s the point?” she said in 1978. This explains why over 40 years, it’s been impossible to anticipate her next move. She’s constantly created extraordinary musical netherworlds that have, in turns, taken in mainstream pop, Philip Glass-like minimalism and Balearic house, to name just three. To this day, Bush remains one of pop’s last great eccentrics. Her sold-out and critically lauded run of 22 shows at Hammersmith Apollo in 2014 showed what a force she remains. As all truly great performers would, Bush used her unforgettable and idiosyncratic debut as a springboard rather than a template. And it is sadly unimaginable, in our more homogenised pop climate, with its fragmented listening patterns and lack of must-see TV music shows, that a song such as Wuthering Heights would have such a national impact if released today. FEATURE: Different Year, Same Problem: Whilst Genre Diversity Is Defining Major Festival Headline Slots, There Is One Pressing Question: Where ARE the Women? !